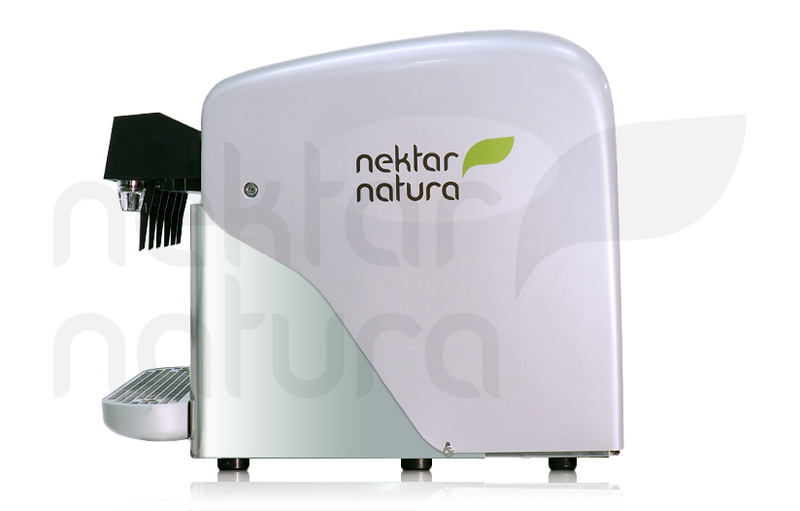 A neat and compact post-mix dispenser, very convenient for free-refill. 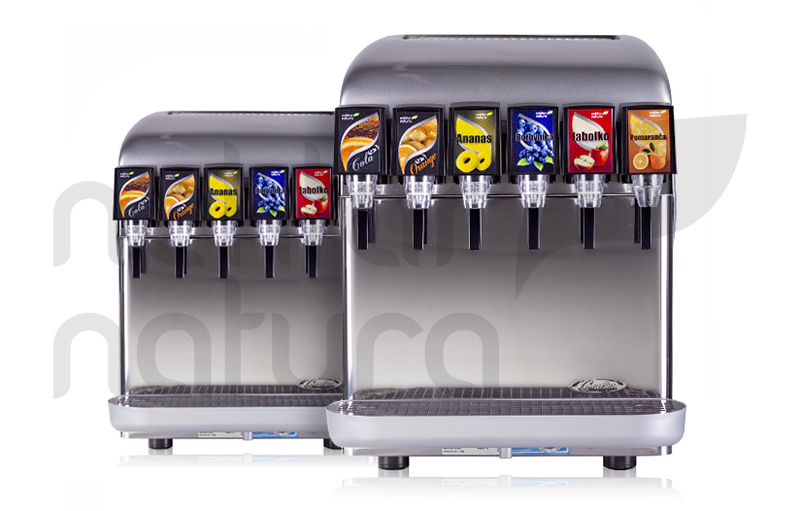 Its main features are an integrated carbonator and a pump, providing capacity for large drink output. 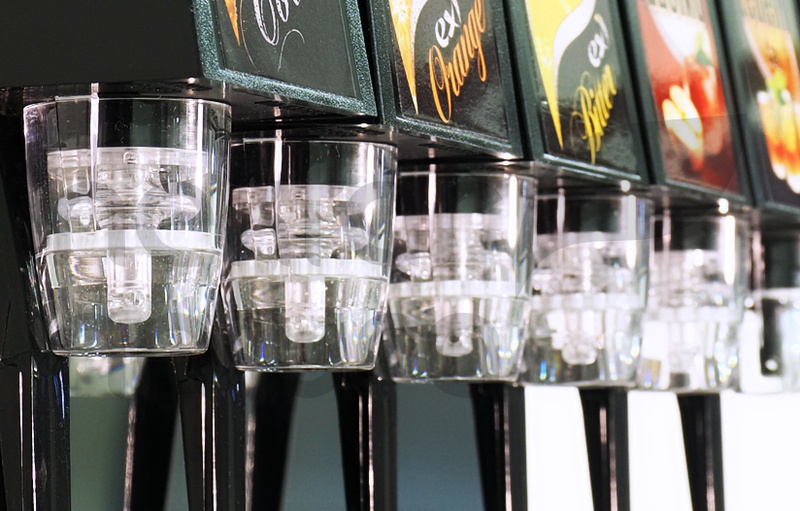 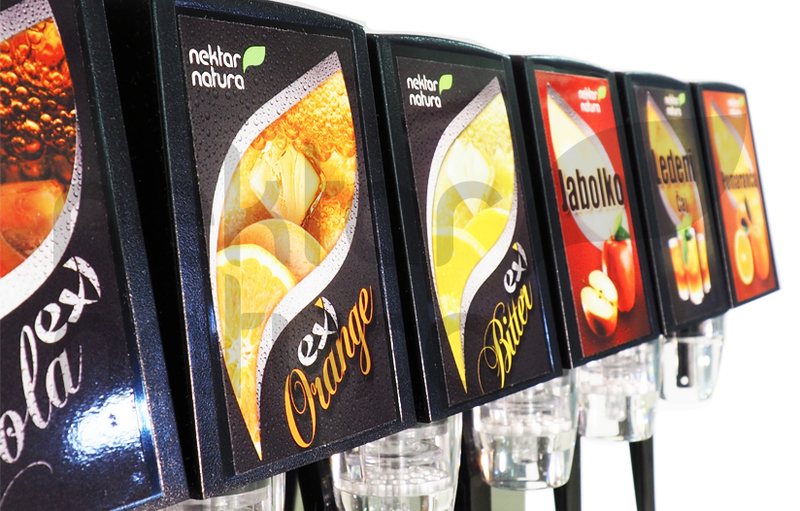 Through 6 spouts, 6 different drinks can be dispensed – carbonated or non-carbonated, water or soda. 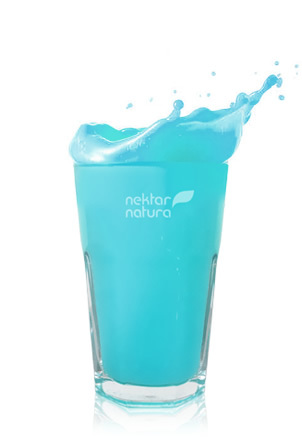 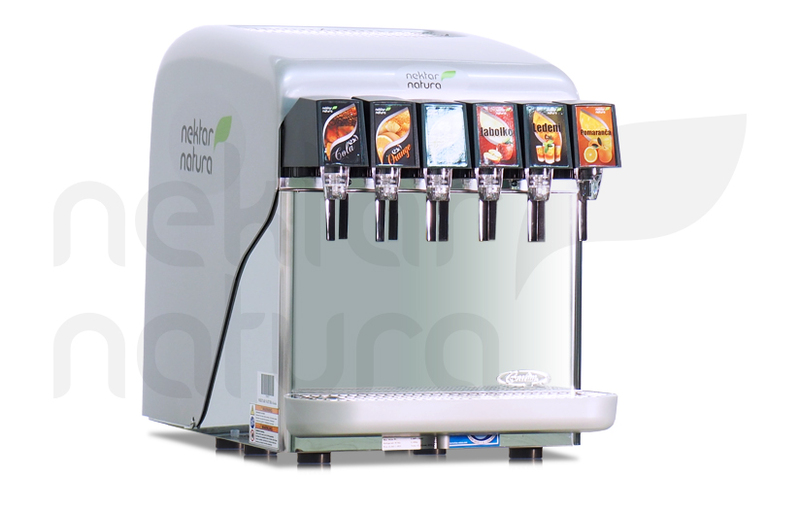 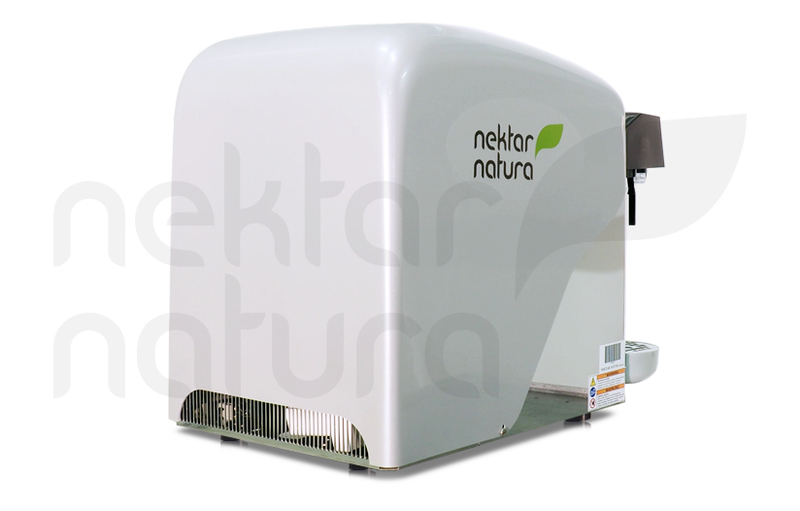 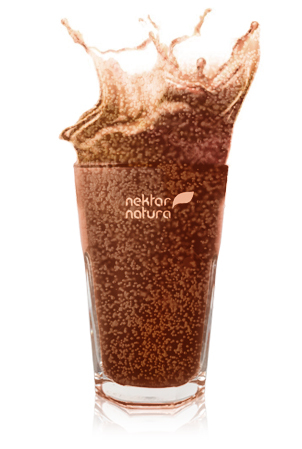 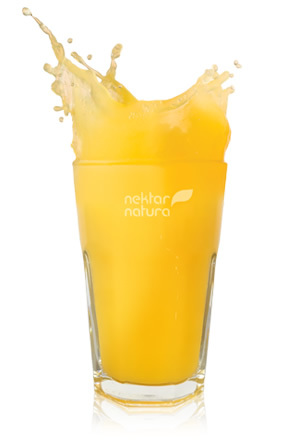 When combined with a Nektar Natura QC10 or QC20 BiBs, you have a complete solution that eases your workflow and increases consumption of different fruit-flavoured drinks.